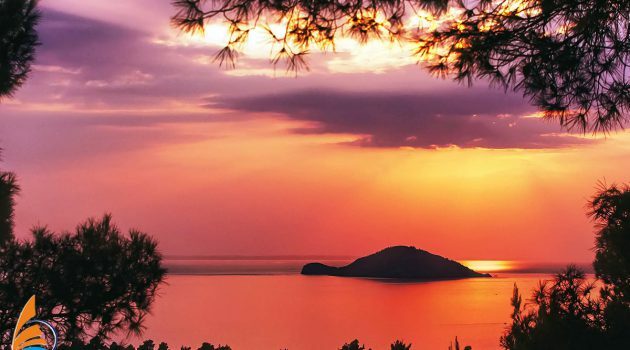 The Aegean Sea is full of surprises any sailor would wish to see, and Halkidiki, on its north, is no exception. As you sail around three fingers of Halkidiki, you will see many marvels. You are sure to remember isolated beaches, a few beautiful islands and mountains among many other beauties the peninsula has to offer. And who knows, a couple of dolphins might join us on our way. As we sail along the western coast of Kassandra, we will see one of the biggest natural wonders of Halkidiki. First of all, open your eyes for the Possidi Lighthouse in the distance. The lighthouse announces the Possidi Cape, a desert protruding into the sea. As we continue sailing, you will see beautiful settlements at the base of green hills. Nea Skioni and Loutra are such resorts. As we enter the bay between Kassandra and Sithonia, we can sail around Kelifos Island. You will have a chance to see wild goats inhabiting the island and its magnificent sea bed. Once we start discovering Sithonia, you will take some of the best photos from your vacation around the peninsula. Wooded and hilly Sithonia doesn’t fail to make an impression. You can choose among dozens of beaches you wish to enjoy. Both public and virgin beaches line its shores. But, as we sail, we can stop by a few isolated beaches that are accessible only from the sea. Now, that would be something, right? From the sailing yacht, you will have exclusive rights to see the best sights of Athos. 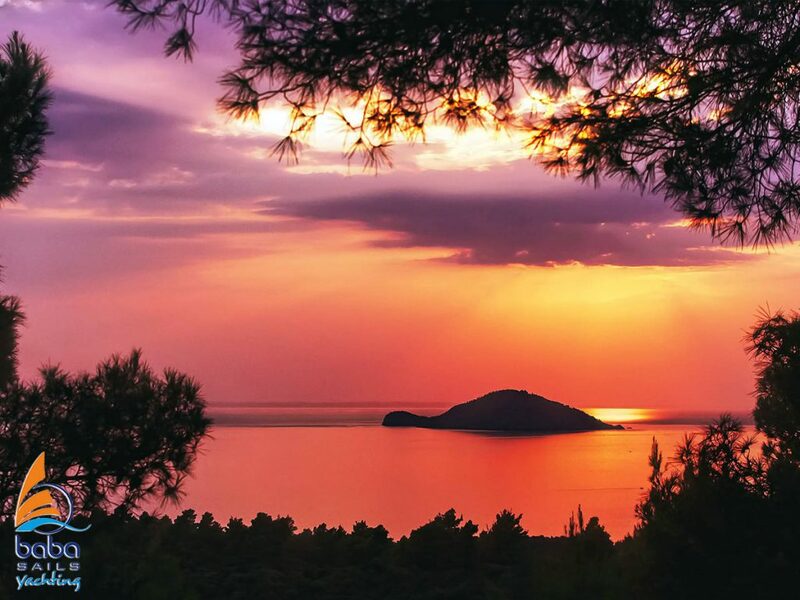 The third peninsula of Halkidiki dominates over the North Aegean Sea. It features promontories, high cliffs and beautiful monasteries seen from the sea. Finally, a monastery atop the cliff will be one of the most memorable sights from your vacation. This and much more you will have a pleasure to see on board a sailing yacht of BabaSails Yachting. Hence, book your yacht now and don’t worry about having a good time.